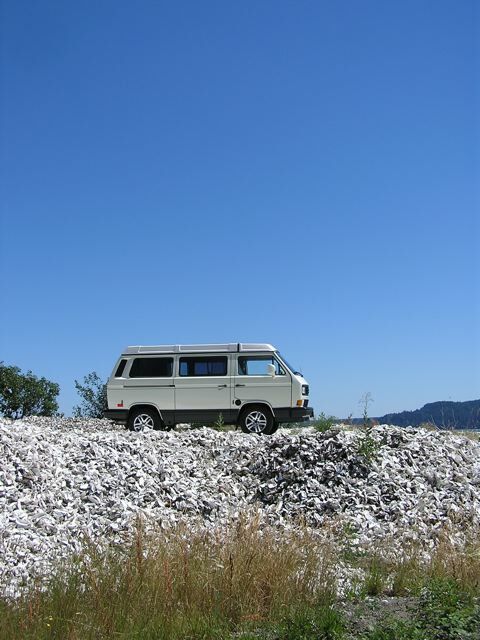 From blog reader Jeff Holt, who, like us, nicknames his vehicles and loves seafood & big dogs. 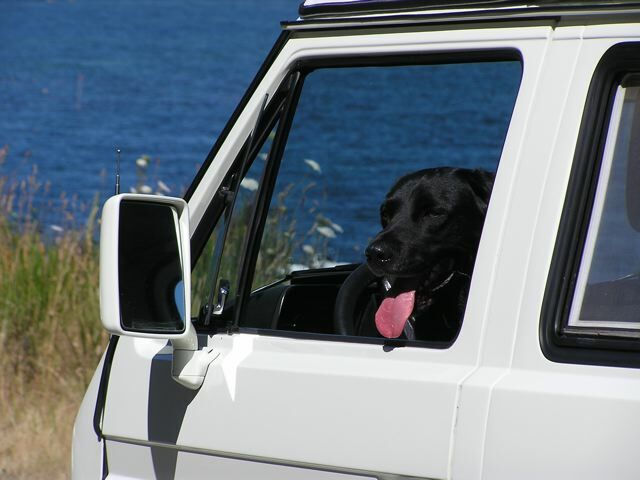 He stopped by the store in July while roadtripping with his Westy "Bandit" and dog Indy. 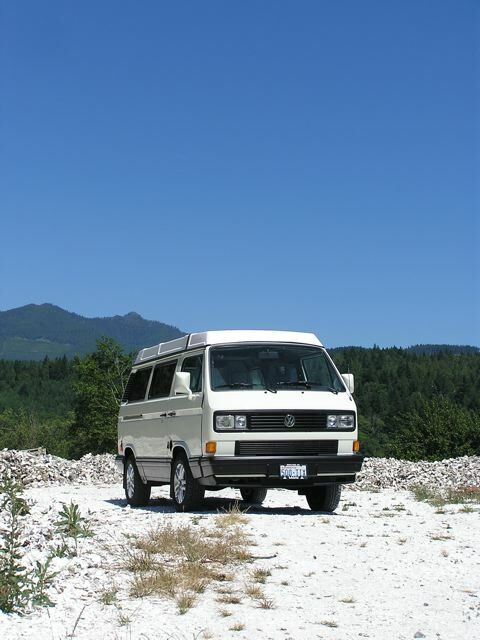 Hi, Last weekend while driving my project '91 Westy around Hood Canal I stopped into your store for the first time and bought some yearling oysters which were great that night. I had such a good time taking in the canal and I love seafood, I drove back to the store on Sunday and bought more oysters, shucked & in the shell, a big crab and some smoked salmon (all gone now). On Sunday I asked the ladies if I could park on your pile of shells to take some pics.